Golden State Warriors coach Steve Kerr had a special message for an official during their preseason game against the Phoenix Suns on Monday night — and it’s not one fans normally see from a head coach. Less than a minute into the third quarter of the contest at Oracle Arena in Oakland, California, Steph Curry picked up an offensive foul. That didn’t sit well with Kerr, who immediately walked out onto the middle of the floor to join Curry in arguing with the official, Ben Taylor, about the call. 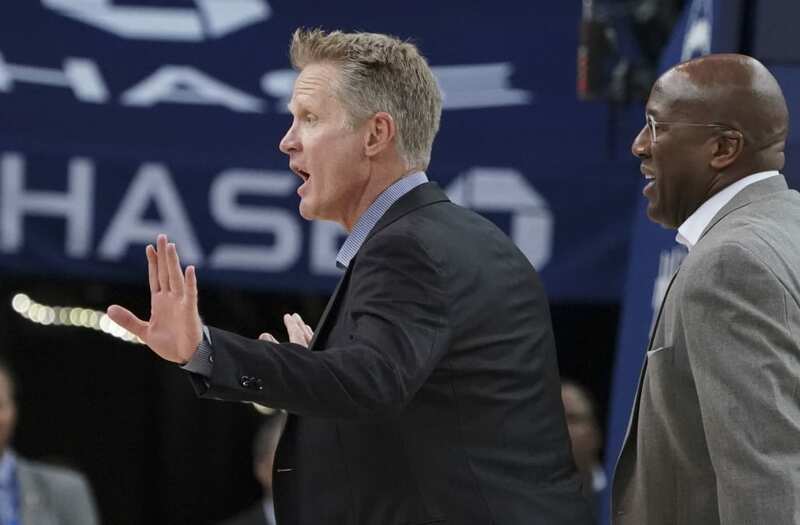 Once Kerr got to the top of the arc on the floor — well beyond where a coach is allowed to be during a game — another official came in and quickly gave Kerr a technical foul and ejected him from the game. So, he left. Kerr dished out a few high fives on his way off the floor and took off for the locker room. It’s probably safe to say that, after Monday night’s performance, Kerr is more than ready for the NBA regular season to start next week. Maybe then he’ll want to be there.